More than a quarter of species evaluated by the IUCN Red List are classified as threatened by extinction. The IUCN Red List is an inventory of the global conservation status of known species around the world, which is used by conservationists and decision makers worldwide to calculate conservation priorities. For Endangered Species Day, World Land Trust (WLT) describes five endangered species of conservation priority under the protection of WLT partner reserves and how you could help protect them. This small turtle with boat-like ridges on its upper shell is found in China, Vietnam, Thailand, Myanmar and India. Unfortunately this range overlaps with the highest rates of wildlife trafficking in the world, and this has resulted in a classic case of over-collection causing a drastic decline in its wild population. It is primarily collected for local consumption, but also for national and international food and pet trade. This threat is exacerbated by habitat loss and degradation. 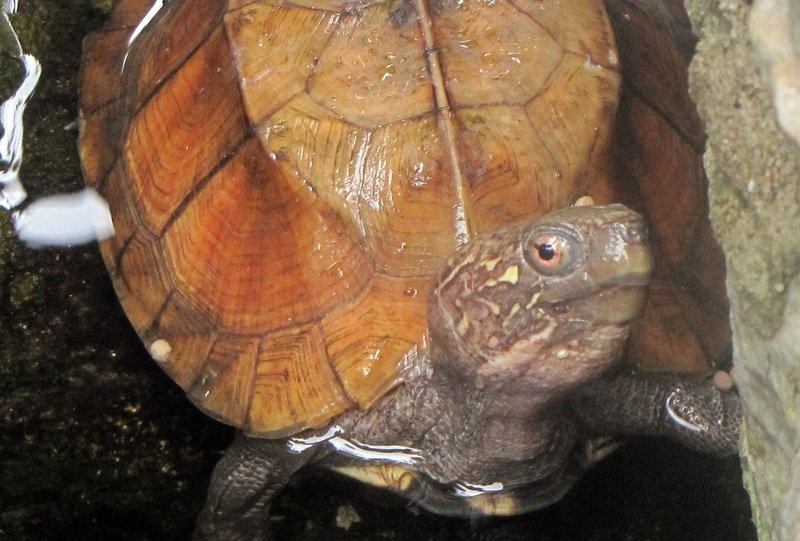 The Keeled Box Turtle can be found in Khe Nuoc Trong, Vietnam where WLT works with Viet Nature. In 2015, WLT supported the recovery and rehabilitation of almost 200 turtles including individuals of this species and two other threatened species that were rescued from traffickers. WLT continues to protect wild turtles through its Carbon Balanced land conservation programme in Khe Nuoc Trong, and through Keepers of the Wild, which supports rangers patrolling the forests to prevent poaching. The Tapichalaca Treefrog is currently listed in the IUCN Red List as ‘Data Deficient’ due to it’s relatively recent discovery in the Tapichalaca Reserve of Ecuador. This reserve is also the site of the discovery of the Jocotoco Antpitta, which inspired the founding of the organisation which now protects this biologically important area, WLT’s partner Fundación Jocotoco. Both the Tapichalaca Tree Frog and the Jocotoco Antpitta are not known to occur anywhere outside this area, so the conservation of these Andean temperate forests is incredibly important for these species and any others which may not yet have been discovered. 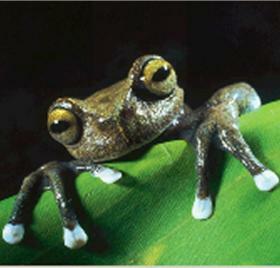 WLT supports land conservation with Fundación Jocotoco in this area through the Action Fund. 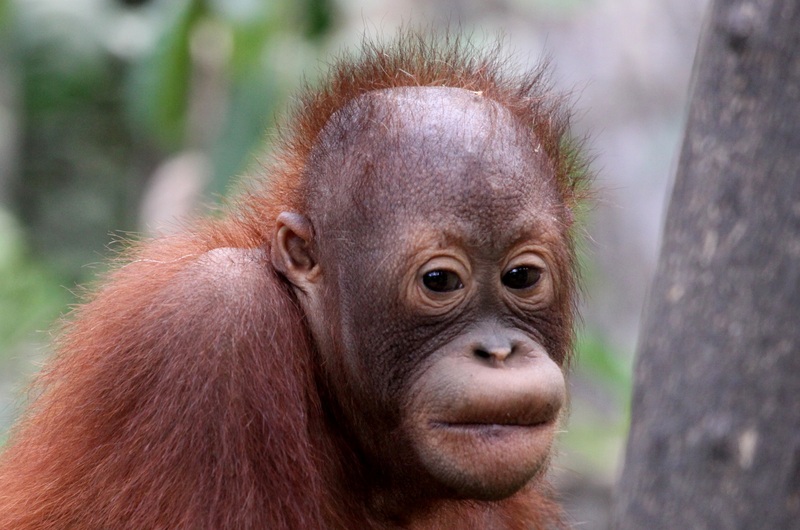 Named the ‘people of the forest’, orang-utans are our intelligent, arboreal cousins. Last year, the Bornean species was declared Critically Endangered by the IUCN when scientists concluded that the number of orang-utans in 1950 will have declined by about 80 per cent by 2025, considering the future development plans of the Indonesian and Malaysian governments. 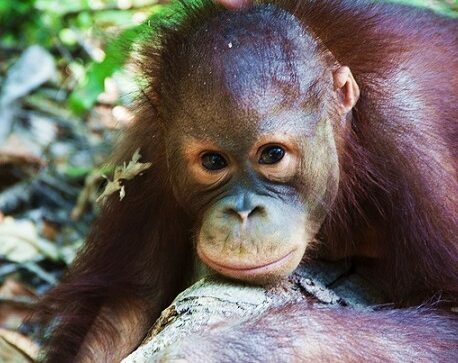 WLT has been working with our partners LEAP Spiral and Hutan since 2008, raising funds to secure corridors to link isolated patches of Bornean Orang-utan’s rainforest habitat in Malaysian Borneo. 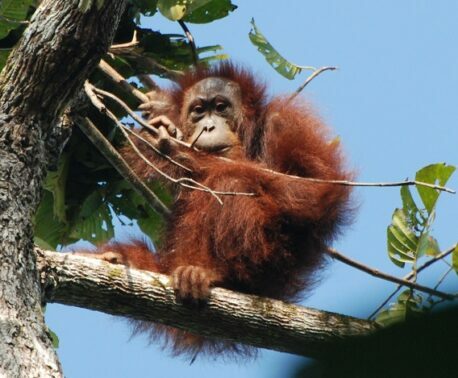 We have helped secure three corridors (Kretam-Kulamba, Bilit and Keruak) of orang-utan habitat so far, and are currently working to raise £250,000 with the Saving Kinabatangan appeal. This funding will enable the purchase of a tract of land adjacent to the Pangi Virgin Jungle Reserve and will form the first action towards creating another corridor in the Kinabatangan floodplain. Pangolins are now widely recognised as some of the most threatened mammal species in the world. 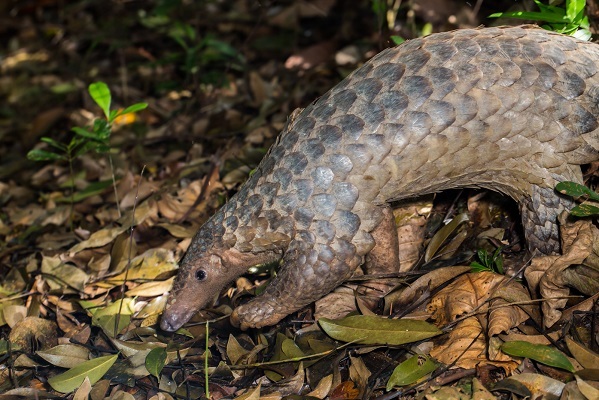 Their plight hit the headlines last year when it was announced by the IUCN SSC Pangolin Specialist Group that more than 1 million pangolins have been traded illegally at the international level. These scaly mammals were in the media again in September, when an international trade ban was brought in at the 17th meeting of the Convention on International Trade in Endangered Species (CITES CoP17). 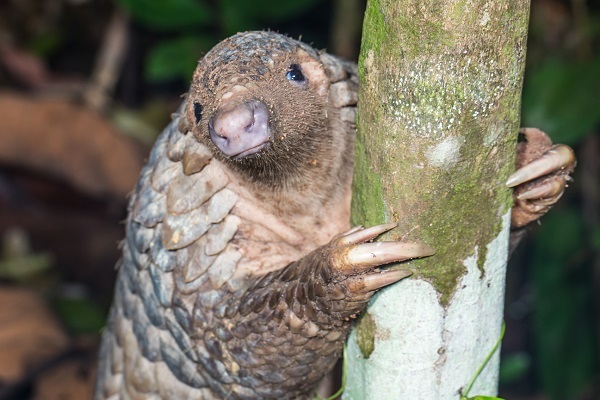 The Critically Endangered Sunda Pangolin is found in two WLT project areas: the Lower Kinabatangan Floodplain in Malaysian Borneo and Khe Nuoc Trong, Vietnam. The most effective protection of animals at risk of trafficking in the wild is wildlife ranger patrols to detect and deter poachers. WLT’s Keepers of the Wild programme supports the salary of Berjaya Elahan in Borneo, Dang Hieu and Quoc Hieu in Vietnam, who protect this (and many other) species. To spot a macaw in Bolivia is to see a flash of turquoise flying through the sky. 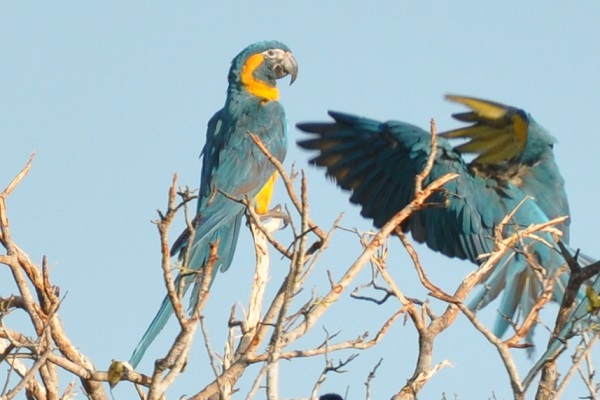 In the WLT funded Barba Azul reserve, you may be looking at the striking Blue-and-yellow Macaw, but you also might have spotted its equally colourful but much rarer cousin, the Blue-throated Macaw. Its wild population is currently estimated at only 250 individuals, which are isolated in small subpopulations in north Bolivia, due to a recent, rapid decline caused by the pet trade and habitat loss. WLT partner Asociación Armonía protects this macaw’s habitat in the Beni Savanna, and has been working diligently to research this species and work out the most effective actions for its conservation moving forward. Recently, they identified a new nesting location, and last year, supported by WLT’s Action Fund, they restored seven forest islands which are critical feeding areas for the macaws. Sponsored by the Bird Race Challenge, WLT is currently raising funds for further Blue-throated Macaw conservation projects with Asociación Armonía.